Hard water is the result of mineral and sediment deposits in the water supply. While metropolitan water systems provide basic filtration and treatment, the hardness of the water is seldom addressed. Hard water does not dissolve soap as well, leading to difficulty in washing clothing or working shampoo or body soap suds and can stain fixtures and shower walls. 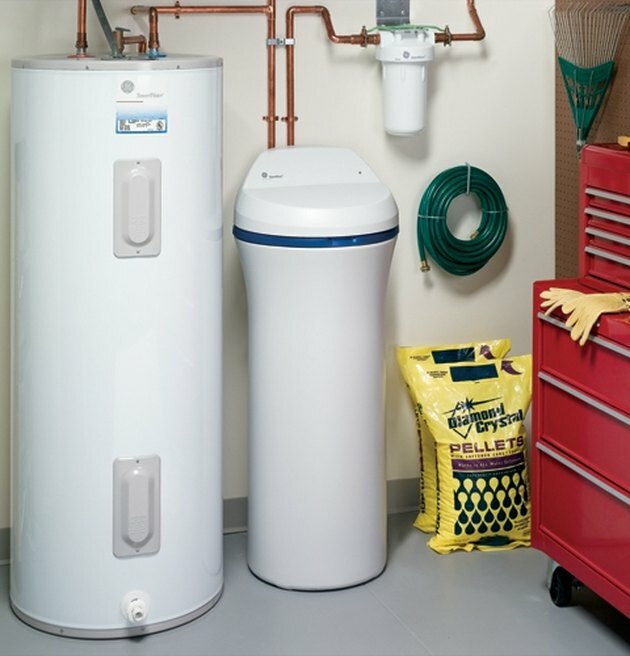 Many home and business owners in hard-water areas use water softeners. These connect at the water main and distribute soft water throughout the home or business. The softener's brine tank, where the softening salts mix with the water, need to be cleaned periodically to maintain optimal operation. Allow your salt level to drop very low so that you do not throw out as much good salt from your tank. Disconnect the power from your softening unit to prevent electrocution. Remove the brine tank cover and dump the remaining water, brine and salt. Be careful to do this away from flowers, bushes or any plants. The brine and salt will kill them. To clean the brine tank, first lift out the brine valve. Unscrew the bolts on either side of the salt tank. Remove the brine valve chamber. At the bottom of the tank, you'll find a salt plate. Remove and clean this as well. Due to the amount of silt and dirt involved with the inside of your softener, you may want to take it outside or to a drain tub. This process may get messy. Make sure that you thoroughly rinse the parts and reassemble the tank. Refill the tank using new, clean salt. Load the tank almost all of the way to the top. Replace the lid on the salt tank. Restart the softener. Allow it to go through its first cycle to refill and realign itself.